The Sanctuary is led by the Senior Minister and a team of Elders. 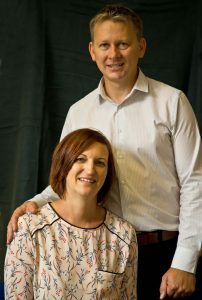 Nigel Farmer is the Minister of the Sanctuary Church, and has been involved in eldership ever since helping set up the church in 1995. Nigel enjoys most sports but has a particular love for Birmingham City. Esther is on the eldership team helping Nigel oversee the Church. She also plays drums in the worship team, enjoying music and arts. They have been married since 2003 and have two children, Ava and Jacob. 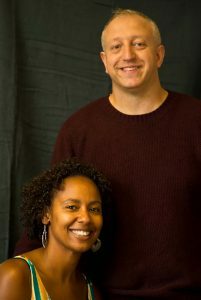 Jamie and Shaneen Lee have been members of the church since 1996 and 98 and have been elders since 2010. Jamie is the pastor and heads up the pastoral team in the church, he also works closely with the youth team. Jamie is a keen supporter of the red side of the City. Shaneen is our worship leader and heads up the worship team, and together they lead the Hillfields home-group. They also married in 2003 and have two children, Isaac and Kezia.